Just a few more steps… Malmok Beach, a great snorkeling spot in north Aruba. Swimming Conditions: Clear and shallow waters, a popular snorkeling spot. Malmok Beach is located just past the high-rise hotels on the north coast of Aruba. This beach lies just 3 kilometers north of the popular Palm Beach and it is approximately 700 meters long. 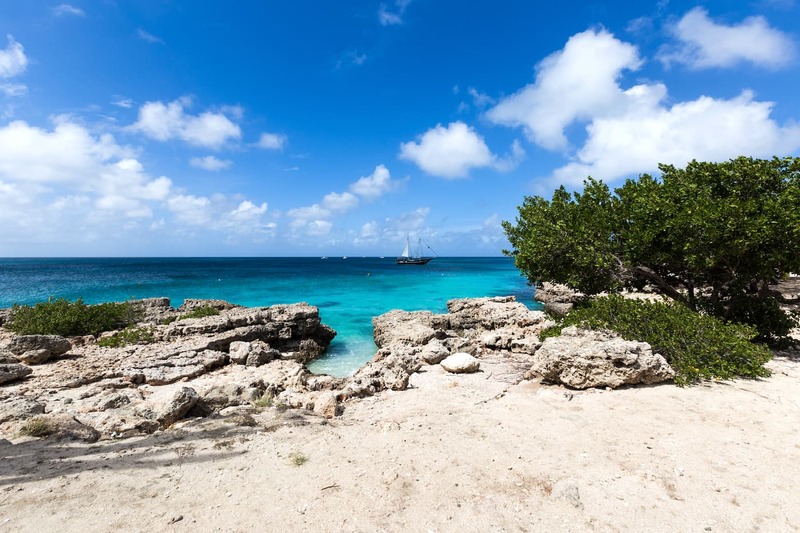 Although this beach is not very frequently visited by regular beach enthusiasts who just want to spend a day sipping cocktails in the sun, it is a very popular spot where some of the best snorkeling in Aruba is within reach right off the beach. Unsurprisingly, many Aruba snorkel tour companies choose Malmok Beach every day to anchor their boats to water the snorkelers. It’s easy to enter the water yourself and just go solo and explore the area for tropical fishes. If you’d like to go snorkeling at Malmok Beach, it’s best to go early in the morning at around 10 AM as this snorkeling spot can become quite noisy once the tours start around 1 PM. You can enter the warm Caribbean waters by choosing one of two sandy beaches. You may want to bring some water shoes or flippers as the beaches are scattered with some rocks. If you’d like to stay near this beach during your vacation in Aruba, you’ll find the brand new Ocean Z boutique hotel just across the road to Malmok Beach. The adult only Ocean Z was opened for business in July 2016. It was built to function as a beachfront villa, but the Venezuelan owner turned it into a unique five-star Aruba boutique hotel instead. The small luxury hotel boasts ultimate privacy for couples and features a clean and minimalist design. The Ocean Z offers just 13 rooms, spread across two adjacent buildings, with a chic outdoor pool in the middle. The hotel’s luxury suites feature an infinity pool and spectacular ocean views across Malmok Beach. Double rooms are elegantly furnished and have a size of over 400 square feet. A private outdoor shower with a deck will keep you cool. The hotel is located right on Aruba’s renowned Ocean Drive, which leads to other beaches such as Boca Catalina and Arashi Beach. Top facilities include a gourmet restaurant and a convenience store. Upon arrival, the hotel’s multilingual staff will take care of your transfer, and welcome you with a glass of champagne. 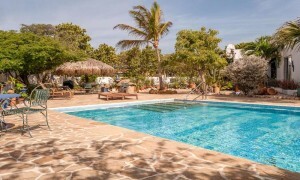 Situated at walking distance from Malmok Beach, Villa Bougainvillea is a tropical villa featuring three modern, intimate, spacious studios, all with a tropical garden and one large swimming pool. The accommodation lies in a quiet area and a supermarket is very close by. The California sand dunes, the Tierra del Sol Golf resort, and the California lighthouse are all within a reasonable distance. When the sun sets at the end of the day, enjoy amazing skies in this tranquil part of Aruba! Sunsets at the west coast of Aruba is what the island is famous for. Satisfaction guaranteed! Throughout the years this accommodation has been praised for its hospitability and location. Malmok Beach is easy to reach by car or taxi. From Oranjestad, head northwest on Zoutmanstraat toward Arnold M Schuttestraat. Take the first right, and turn left onto Wilhelminastraat. Take the first left onto Arnold M Schuttestraat, then turn right onto Lloyd G. Smith Blvd. Continue to follow, then go through the roundabout. At the next roundabout, take the second exit onto L.G. Smith Boulevard/Sasaki Weg. Continue following L.G. Smith Boulevard/Sasaki Weg. At the next roundabout, continue straight to stay on L.G. Smith Blvd. The beach will be on your left.